Me and Mark have never had a brand new mattress, we've been together over 10 years!!!!! 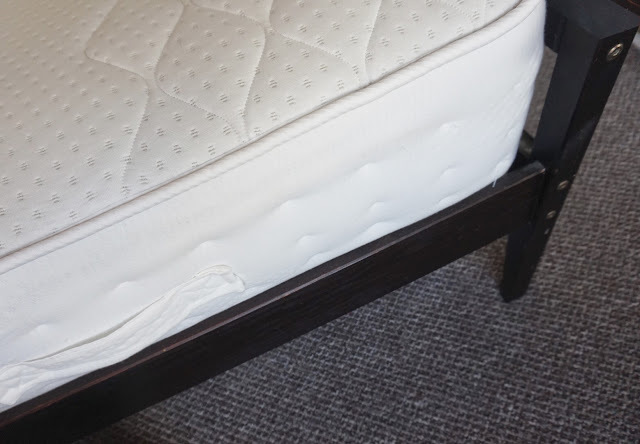 We recently received a brand new mattress from happy beds and I feel like we've missed out over the last 10 years. Having a new mattress is amazing! There are so much choice on the website I had no idea which one to pick. There is a handy little filter that you can customise to your needs and weight to calculate the best mattress for you. 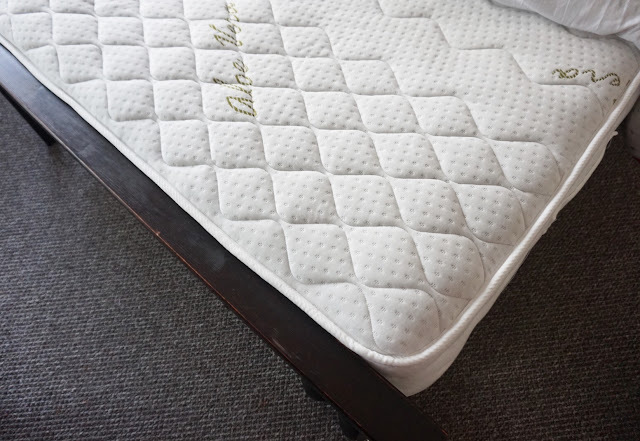 We ended up going for the Aloe Vera memory foam pocket spring mattress. There are a few different benefits of the Aloe Vera mattress. Aloe Vera is known to aid in renewing skin cells along with other health benefits. 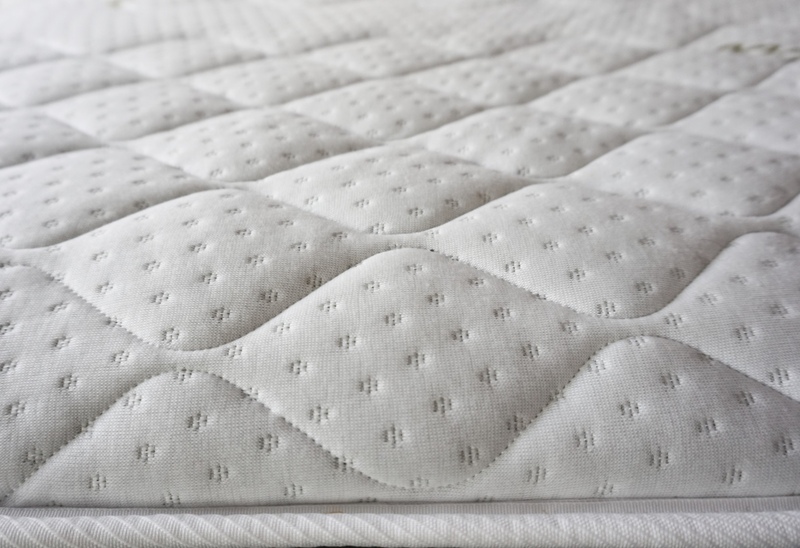 The mattress has a combination of individually nested Pocket Springs, Memory Foam and Reflex Foam, this makes it perfect in providing support for your whole body. The mattress can certainly help in relieving all your body pains as you sleep. The Pocket Springs work independently. 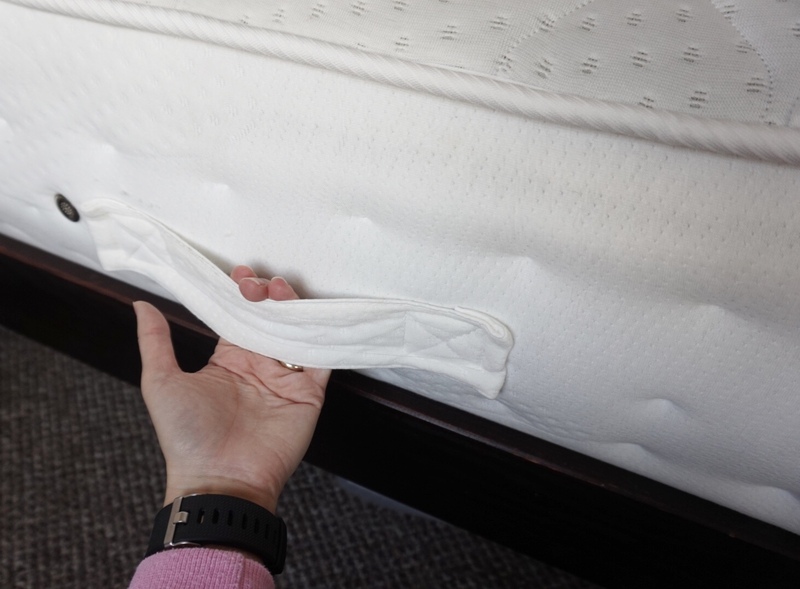 This makes sure that all your body parts are equally supported in order to avoid unequal weight distribution when you lie down or move on the mattress. The hand-crafted Aloe Vera mattress includes micro-quilted side stitched borders. The Aloe Vera is a non-turn mattress which doesn't require to be turned around for longevity. The mattress is also fire retardant for safety concerns. I love that you don't have to turn this mattress, the mattress is quite heavy. There's no way that I'd be able to lift it on my own and Mark struggled. If you do need to move it though there are handy straps which are very useful and very luxurious. 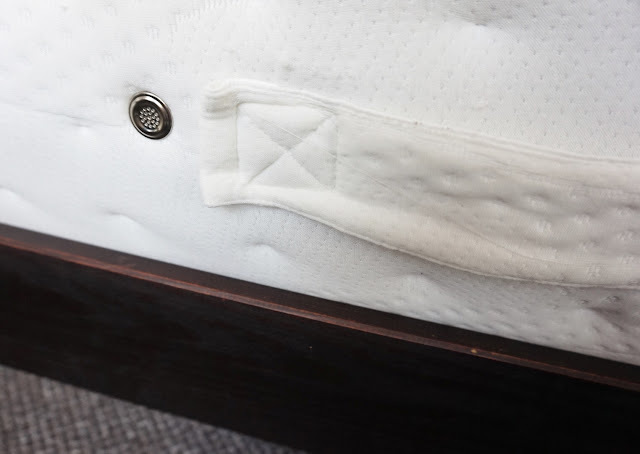 The Air Vents help the mattress breathe to keep it fresh and dry. As you can see they are small and discreet but still look nice on the side of the mattress. The first night was rough, I always try to be completely honest here so will continue to do so. I had an awful nights sleep, I woke up multiple times a night and in the morning I was aching all over. I wasn't looking forward to the next nights sleep but it was a lot better. I think my body just needed a night to get used to the new mattress. It was a lot firmer than our previous one. Mark has a bad back so a supportive mattress is a must for him. He has found his back is much more supported now. We have now used the mattress for almost a month and we both now love it. Marks back is a lot more supported and doesn't hurt or ache half as much as it used to with the old mattress. I don't have any back problems but I have found that when I am sleeping I tend to sleep better and more deeply, waking up more refreshed, when the kids let me sleep that is. The mattress is really well made, very comfortable and lovely quality. 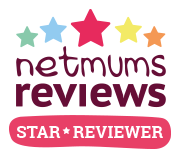 The memory foam and reflex foam make the mattress really lovely to touch, it moulds to your body and supports it. The service from Happy Beds was good. We got a time slot for the delivery and the mattress turned up 1 minute after the time slot which isn't a huge problem. Mark then managed to get the mattress upstairs by himself and onto our bed. I wouldn't of been much help but was out when it arrived anyway. Did your new mattress take you a few nights to get use to? Generally, sheets are produced through combed construction or compact construction. silk bed sheets King In addition, king flannel sheets are sheet sets that are slightly less common and less available, but still desired.